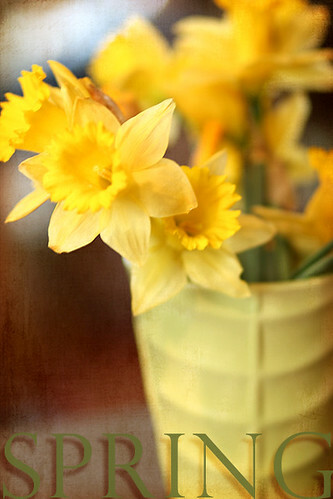 Spring Daffodils, a photo by jpbeth on Flickr. A vase of fresh daffodils - that's a sure sign of the beginning of Spring. I used my brand new 85 mm lens to take this shot. I enhanced it with two layers of KK's new texture called Little Things. I added a subtle frame using a brownish color from the background.